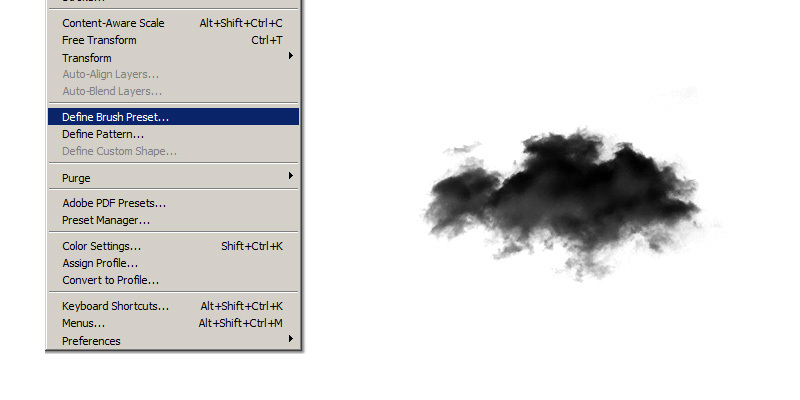 In this quick tutorial, I will show you how to create your own Photoshop cloud brush from photo. 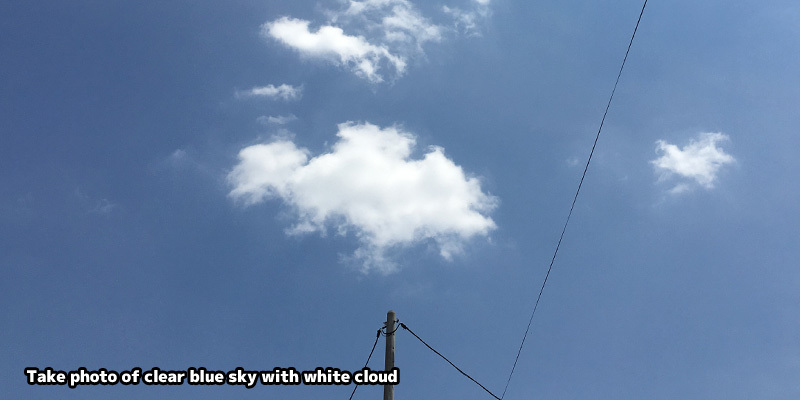 Take a nice photo of clear blue sky and white cloud. This will make the brush creating process easier later. Important! Use only public domain images or Creative Commons image with derivative rights. Do not use random photos from google! 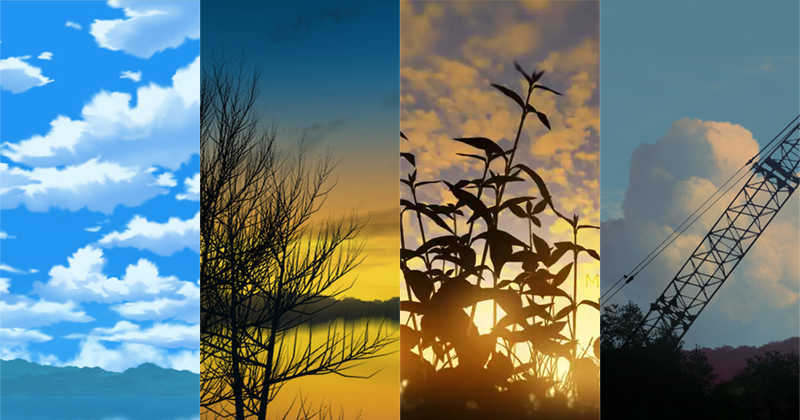 Converting the photo into Photoshop brush is a quick easy process. Copy the photo into a new canvas. CTRL-T to scale transform. I usually create brush size less than 500 pixels. 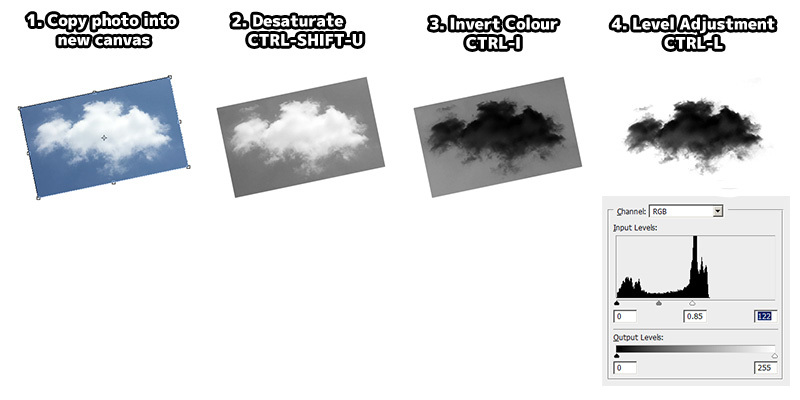 CTRL-SHIFT-U to desaturate the image. CTRL-I to invert the image. CTRL-L to to bring up the Level Adjustment panel. Adjust it so the background is white. This is because white is transparent and black is opaque. Select the new brush we just created. 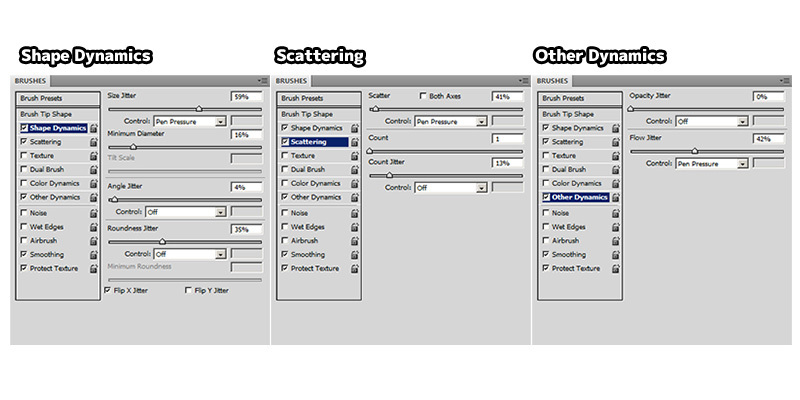 The brush currently is without any settings, so enable "Shape Dynamics", "Scattering" and "Other Dynamics". 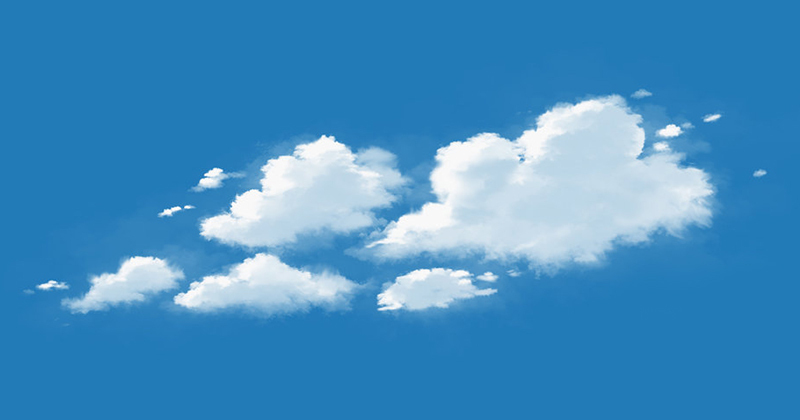 There is no one best settings for painting clouds, you will have to change the settings base on your needs. Size Jitter - Randomise brush tip size. Enable "Pen Pressure" will scale brush tip base on pen pressure. Angle Jitter - Randomise brush tip rotation. Enable "Rotation" or "Direction" will rotate brush tip base on pen angle. Scatter - Randomise brush tip location. Enable "Both Axes" will scatter on X and Y axis. Opacity Jitter - Randomise brush tip opacity. Enable "Pen Pressure" will affect brush tip transparency base on pen pressure. Flow Jitter - Randomise brush tip flow. Enable "Pen Pressure" will affect brush tip transparency base on pen pressure. Both "Opacity" and "Flow" affect transparency. But "Flow" will add up the value as you paint without lifting up your pen.